Although Missouri football lacks a bit in tradition compared to its SEC siblings, Memorial Stadium offers plenty of atmosphere. Driving along Stadium Boulevard, parked cars are lined up for miles creating a pathway to the stadium. Welcoming fans into the arena is a large statue of Don Faurot for whom the field is named after. 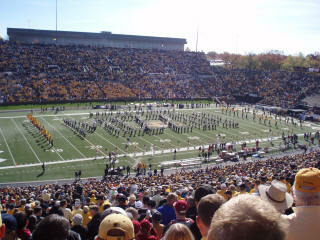 Faurot coached at Missouri and left a great legacy during the mid 1900s. However, the fans have seen mounds of frustration over the years and their mood reflects that. Missouri football has been on the cusp of many breakthrough moments and when placed in the national spotlight, their program crumbles. Carrying one of their best records in years, the Tigers welcomed traditional power, Oklahoma, to Memorial Stadium in Columbia. Again, opportunity knocked and Missouri had a good enough team that could answer the door and storm through. However, the Sooners’ agenda failed to coincide with Missouri’s plan and Oklahoma kept all hopes of a Missouri resurgence bolt-locked. Wisconsin fans poured down I-65 aiming for Nashville and their team’s appearance in the Music City Bowl. 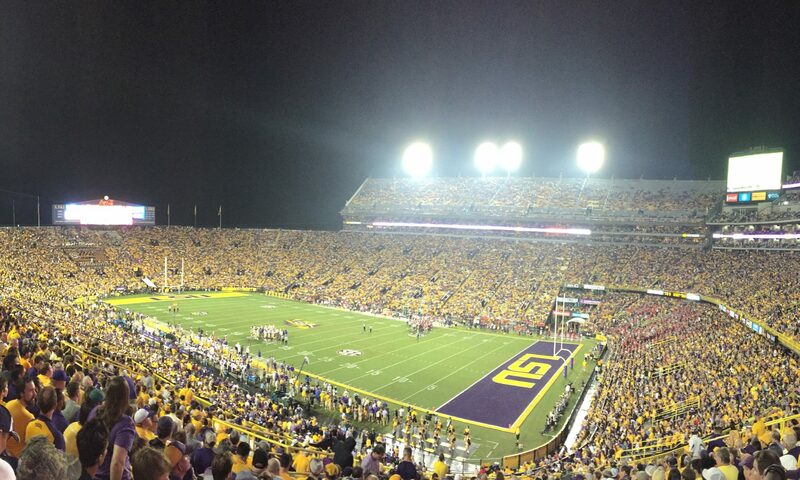 Auburn fans had a shorter path to travel and consequently, their fan base outweighed the red and white. The home of country western tunes hosts this bowl game with intense enthusiasm and the city comes alive as the contest is played on New Years Eve.